You may have spent a lot of time and resources to get an impressive looking home… but having a gloomy entryway can make all the hard work seem like a waste of time! Your entryway is the first thing people see upon arrival and is your chance to make a great first impression. It sets the tone right for the entire house while giving away your personal taste. It’s a misconception that great looking entryways are only a thing for homes with enough space to spare - there’s a lot you can do even with a modest home! Since most homes in Mumbai have the entryway leading directly into the living room, a few, simple, creative ideas should do the trick! Here’s how you can design an attractive entryway and give your guests the warm welcome that they deserve! 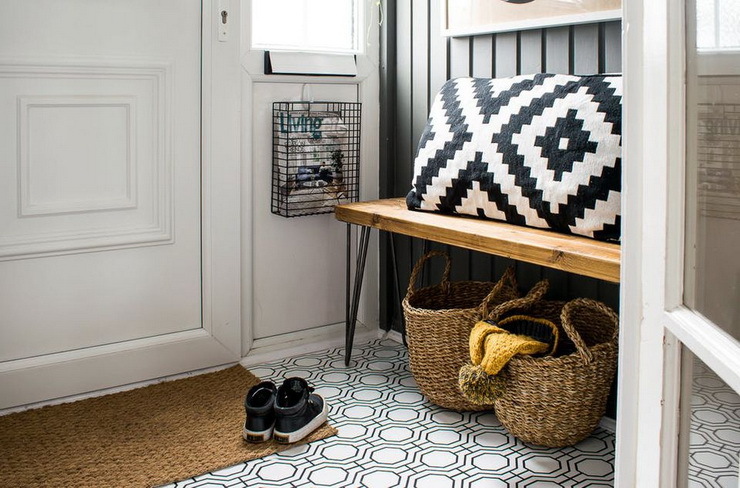 Let’s look at some interesting ideas for an entryway that makes your guests go ‘Wow!’ Also, don't forget to download the visual guide we have for you at the end! 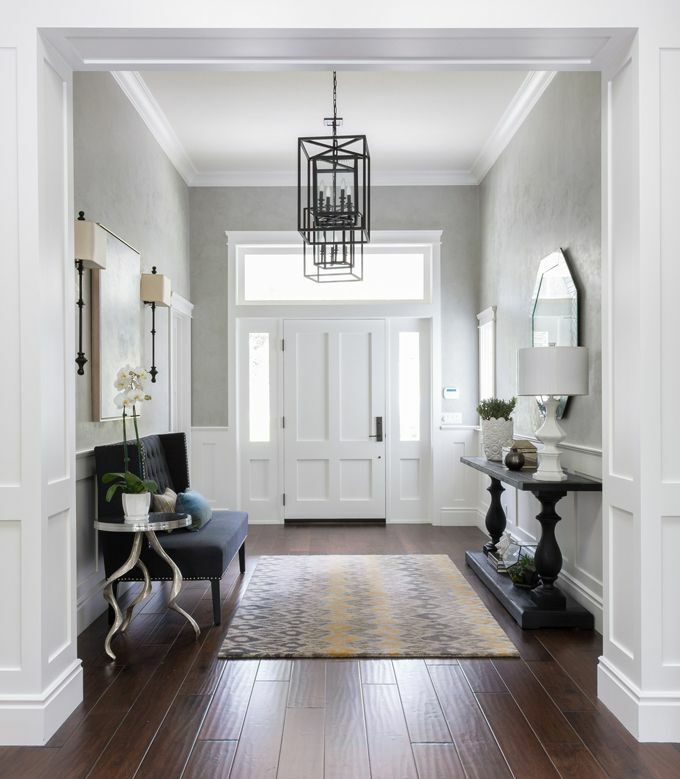 Entryways should be the one place that elicits a ‘Wow! You live here?’ kind of response from your guests. Invest in a statement looking chandelier that sets a tone for your eclectic taste and pick a colourful rug that’s both colourful and durable to use instead of a doormat. If you are an extrovert and want to give a glimpse into what’s your life like to your guests, consider adorning the entryway wall with beautiful pictures of you and your family. Happy and bright photos will instantly cheer anyone up the moment they enter your home, spreading a positive vibe. Achieve functionality along with getting creative by installing custom built-ins for homes that do not provide a separate entryway. Most city apartments open directly into the living rooms, so you can use a reclaimed wood bench to store everyday essentials such as keys, bills, bags etc and stash away your shoes underneath. A carefully composed grouping of mirrors is sure to catch the eye in an entryway, not to mention reflecting extra bits of light into your home. 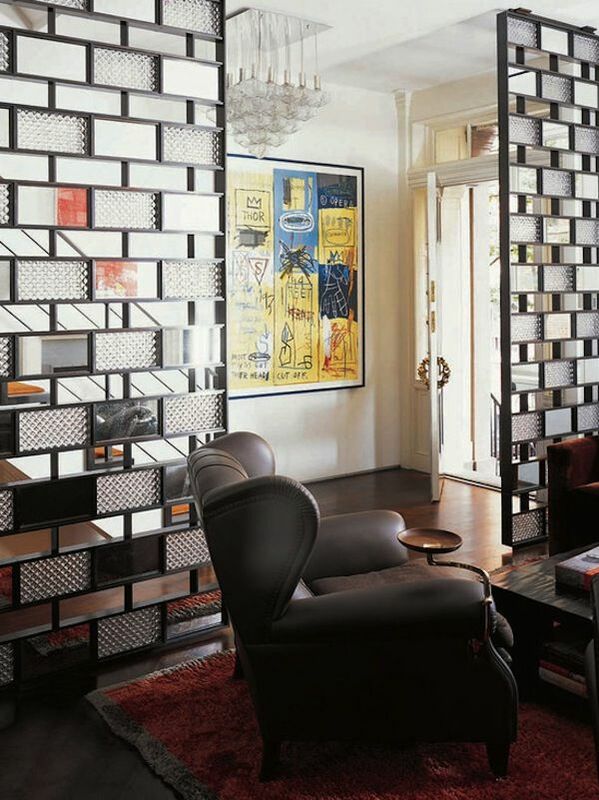 You can play with different shapes and sizes making your mirrored wall look fun and interesting. A grand entryway can be achieved by going minimalistic. A quaint décor piece that is both soothing to the eyes and lends a peaceful charm is a great option. Symmetrical side stands of the same size are a great option if you want to keep the clutter away and give an appealing look. All your storage such as shoes or books can be tucked away inside the table, giving a clean look overall. Bring home art and make it a focal point of your entryway. Unexpected art helps liven up the space and gives a great chance to showcase your personality. Add touches of artificial lighting to make sure everything is visible easily, as it would be a shame to not go all the way and flaunt the pieces you curated and picked out so carefully. Like mentioned earlier, city apartments may rarely have a separate entryway. But with the help of a screen, you can easily create the illusion of one, that divides two spaces effortlessly. You can opt for a permanent screen or a movable one which can be removed or installed whenever needed. Include a substantial piece of furniture, such as a chest, to anchor the space. Add a single side chair and you have got an instant entryway with a place to sit and take off your shoes. Don’t forget to add decorative elements to the chest, letting ample empty space for your knick-knacks such as keys, bills etc. Pastel colours work great for the entryways. You can work with variations of grey, white, beiges and lighter tones of blue and green for a soothing template. Add pops of colour with the help of décor and furnishings. It makes sense to opt for an umbrella hanger as a part of your entryway, during the monsoon season which can be converted into a coat hanger as required. 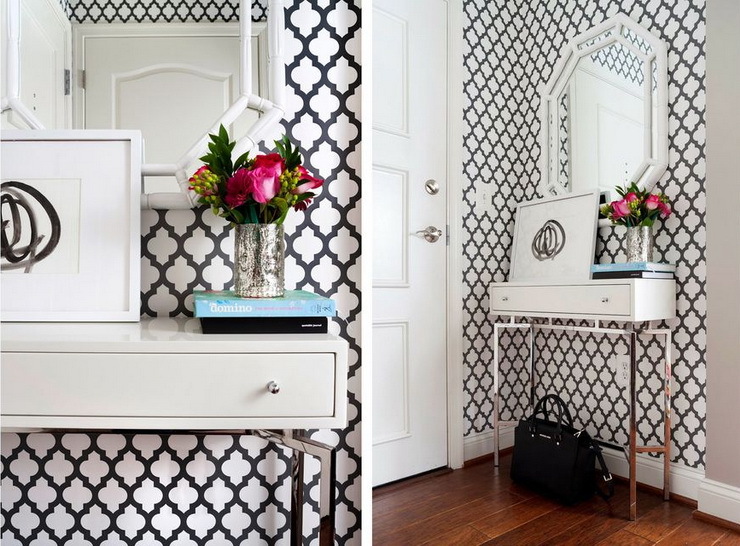 Separate the entryway wall by using wallpaper. Choose something that speaks to your personality. If you are someone who appreciates structure and order, perhaps a geometric print is calling to you. If you are more playful, there are countless cool animal prints. The options are limitless. The entryway to your home is a glimpse of what awaits inside. Make sure anyone entering your home feels impressed and can’t wait to explore more! Get in touch with an expert at Hipcouch who can help you plan an attractive entryway and a lot else for your abode! Newer PostSimple Ways To Make Low Ceilings of Your Home…Awesome! Older PostThe Only Resource You Need For Using Neutral Colours For Your Home!